Haworth makes some of the most beautiful chairs on the market, and the Fern task chair is no exception. The question is, is it the right chair for you? Our comprehensive task chair reviews give you the facts you need to make an informed decision. We’ve combined third-party information, user reviews, as well as product information and gathered the data together to write our reviews. 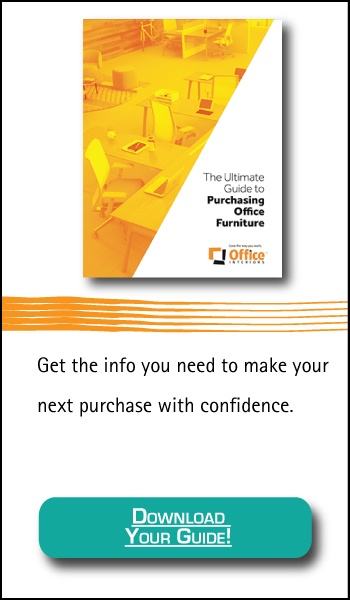 Our goal is to help you find the right chair for your needs, not sell you any specific chair. This article will give you a summary of our research on the Fern chair’s specs, pros and cons, as well as user reviews. To keep the article unbiased, we won’t be recommending for or against the Fern chair, merely arming you with the information to make your own judgement. One of the most commonly mentioned characteristics of a Haworth chair is the beauty and elegance of the design. The Fern task chair does not disappoint. Haworth notes the design is influenced by nature. The focus is on an edgeless design, so you aren’t contending with rigid plastic or hard edges to the seat or back of your chair. Other standard features of the Fern task chair include lumbar support, an upright back lock, and 4-dimensional arms. All Haworth Fern chairs are made of up to 92% recyclable material and built in a Zero Waste to Landfill manufacturing facility. The Haworth Fern has won awards for the innovative “edgeless” comfort design. The chair was designed around a central loop spine, similar to the design of a fern. The back of the chair and the seat have a central stem with fronds providing support. An additional layer of support and a layer of mesh round out the design. This unique and patented design provides support that responds to movement. According to Haworth, each frond in the back support is calibrated to provide reactive pressure to the corresponding body part. This innovative design is what makes the Fern chair so unique. The result, according to Haworth, is a minimalist design that provides superior comfort; though not all reviewers agree. Some cite the unique design as suitable, even comfortable, for short periods, but that it can be difficult to remain seated for more extended work sessions. On the flip side, however, other users report that after sitting in a Fern chair they find it difficult to be comfortable in any other chair. In the Haworth chair reviews and Fern chair reviews we researched, most users pointed out the minimalist aesthetic and modern beauty of the Haworth Fern chair. The lattice-like fern design of the chair is gorgeous, it stands out, and demands attention in even the most stylish office. The Fern task chair also comes in a wide range of modern colours. This makes it easy to find the right chair to match your office decor. The colour scheme and the slender design are both refined and stylish. The edgeless design of the Fern task chair is another feature commonly mentioned in reviews. Without the edges found on almost any other chair, users don’t have the sore thighs and painful aches from sitting too long on a corner. It’s a welcome improvement on the classic office chair design. The chair offers a wealth of adjustment options. There are nine different adjustment levels and three separate adjustments on the armrests alone. All those options come with the danger of something breaking, which does happen as noted in many reviews. The chair settings can also come loose with extended use. The arms especially can come unhinged and require work to put them back into place. With nine different levers and numerous knobs on the chair, finding the perfect setting for maximum comfort can be annoying according to some reviews. Many Fern chair reviews report that the stylish and unique design sacrifices comfort. This is a drawback often found in Haworth chair reviews. Because the chair is more streamlined than most office chairs, it can feel constrictive according to some reviews. The seat, while firm and very supportive, can feel less intuitive than other chairs. The resistance in the chair feels too tight at some points, and surprisingly loose and giving at other times. The result is an experience that can take some time to get used to. Looking to learn more about the Fern task chair? Below are a couple of great videos that show a Fern in action and explain how to adjust it to fit you properly. The first video is a breakdown of Fern’s various features and how they each can be adjusted. It’s also a good laugh. The second video is a short rundown covering a few of the ways a Fern can improve productivity and culture in your office. Still not sure if the Fern is the chair for you? 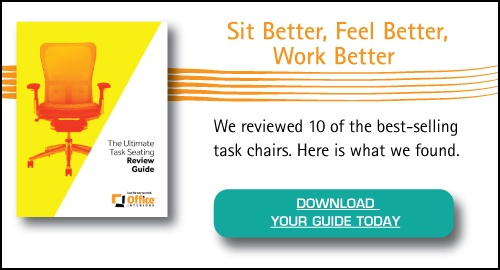 Check out our other task chair reviews!